Brian Stupski - Mama Miata! One of the dozen cars I designed and illustrated for the 2012 AutoWeek Magzine / Rad Rides by Troy / Studio PCK calendar which launched at the 2011 SEMA Show in Las Vegas this past November. The project was a joint effort, and began with a public vote to select 12 cars which I, along with the crew at Rad Rides would re-design as hot rod and street machines, with me providing the final illustrations for use in the calendar. 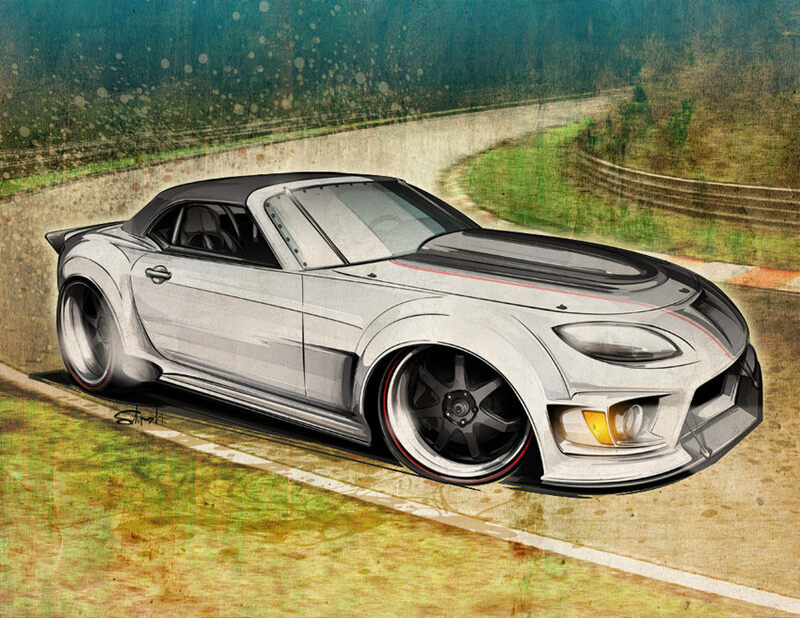 Another of the twelve illustrations I created for the 2012 AutoWeek Magazine / Rad Rides by Troy / Studio PCK calendar. AutoWeek had a public vote in June, where the readers chose 12 cars, and they handed the dozen to yours truly and the gang at Rad Rides to put our own spin on them... 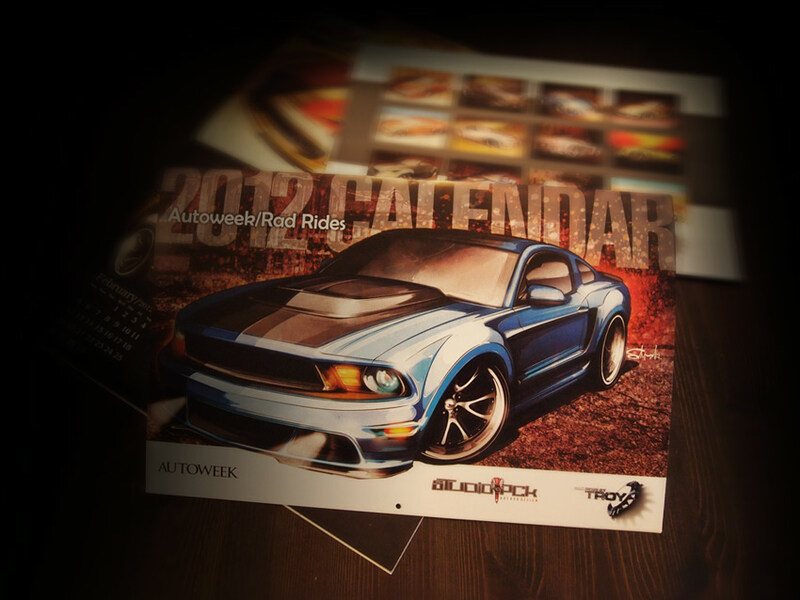 The final renderings were put together in a calendar that launched at the SEMA Show this month in Vegas. For this Miata, the goal was to make the car look a lot more masculine and aggressive, starting with a top chop, new front and rear fascias, widening the track front and rear, and some wild body mods like the scoop... and of course, full-on track equipment like a roll cage and side pipes.